Goat Island’s Duck River Dunkle (pictured) won a People’s Choice Award at Southern Napa’s recent 99 Bottles of Beer on the Lawn event. Cullman’s Goat Island Brewing was founded in 2015 by four friends who had been dabbling in homebrewing, even creating some styles for a local brewpub, and eventually decided to open their own brewery. In a short period, Goat Island has established itself as one of the most respected breweries in Alabama, garnering numerous awards, including top honors at the recent 99 Bottles of Beer on the Lawn festival at Southern Napa in Daphne. Goat Island took home the awards for best brewery and best beer in Daphne, for its Duck River Dunkle, a Bavarian-style dark lager (which also tied for the top spot in the People’s Choice Award, with Fairhope’s fantastic Kingslayer Stout, a beer for those who don’t mess around). The dunkle is both flavorful, with excellent malt tones, and very smooth — described as a “summer drinking dark beer” by Mike Mullaney, one of Goat Island’s founders. It is excellent and I recommend you give it a try — if you can find one! Mullaney said Cullman is a city originally founded by Germans, so a number of their beers are based on traditional German styles, including Peace, Love & Hippieweizen and The Colonel’s Fest Bier, which was awarded a bronze medal in the Malty Euro Lagers category at the 2017 Alabama Craft Beer Competition. Goat Island’s Richer Pils, which is available in cans in our area (I found some at my local Piggly Wiggly), won a gold medal in the Lighter Side category at the Alabama Craft Beer Festival, where it also was awarded second place overall. 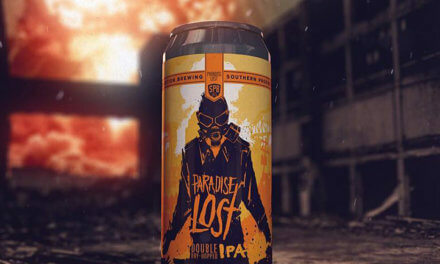 As they did in Daphne, Fairhope Brewing and Goat Island squared off in Birmingham’s Slice Pizza Alabama Craft Beer March Madness competition earlier this year, in a contest that pitted 16 of the state’s best beers in a bracketed tournament. Beers advanced in the tournament based on the most basic criteria of all — sales — with Goose Island’s Blood Orange Berliner Weisse nosing out Fairhope’s Greeno IPA in the final for the title. Goat Island’s beers are currently only available in Alabama, although there are plans to eventually expand into the Florida Panhandle. In addition to the pils, its Sipsey River Red is also available in cans and a number of its styles can be found on tap in our area. I recently had a pint of its (very hoppy) Big Bridge IPA at The District Hall in Fairhope. If you are in Cullman, Goat Island’s taproom is open Monday to Saturday from 2-10 p.m., with music on Friday and Saturday nights. I hope to make a visit, as I’ve become quite a fan of their offerings. Try them out of you get a chance. Closer to home, there are two events in our area of interest to craft beer lovers. First, on Thursday, May 24, from 5-8 p.m. at the LoDa Wintzell’s, Broussard, Louisiana’s Parish Brewing Co. will be introducing its Envie Pale Ale into the Mobile market. 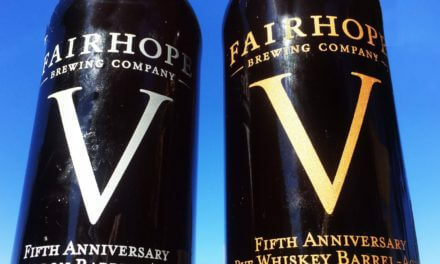 Across the bay, on Saturday, May 26, Fairhope Brewing will release its new Hop the Bay IPA in honor of Mobile Baykeeper’s 21st birthday. To help support Baykeeper’s mission of protecting the Mobile Bay watershed, $2 from every pint sold on Saturday (and a percentage of later sales) will be donated to the organization. After all, you can’t have good beer without clean water, so go out and enjoy some great beer for a great organization. PreviousMemorial Day indoors? Grab a Party Grill!